Roccat has provided us with our next PC gaming device to review, the Kone[+] gaming mouse. Typically I try to go over all the features but with this little device, there are just too damn many to list, and lets face it our attention span just isn’t that long. 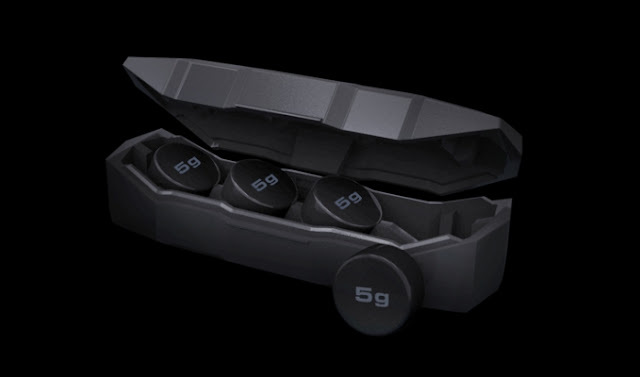 I will fill you in on the good stuff and for more you can just head to Roccat.org. 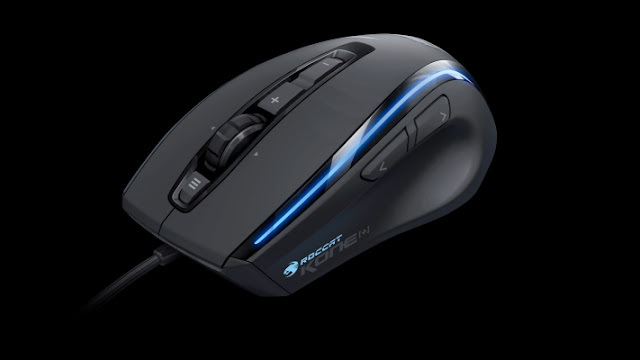 So about those features, this beaut comes with a 6000DPI pro-aim laser sensor, Easy-Shift[+] button duplicator, 4 LED light system, 4 easy to clip in weights, and 8 programmable mouse buttons. So now that we have those out of the way, lets get to the real reason you read these things. This mouse just looks and feels badass, with the satin feel that a number of phone cases are going with lately, but in a flat black. That along with the solid rugged scrolling wheel and light tubes going down each side, hell even the USB connection looks mean. This mouse isn’t all bark and no bite though, the Roccat driver + macro manager is really easy to use, surprisingly almost everything that can be tweaked. The manager also has Macro Presets for games and apps, that’s right Battlefield 3, Old Republic, and Starcraft 3 fans! Once dialed in and I was ready to go is when my heart skipped a beat, it is incredibly responsive, has plenty of cable to work with, and once weighted, I added the full 20g(4x5g), it felt incredibly comfortable and all off the buttons with exception to the one above the wheel were easy to access. 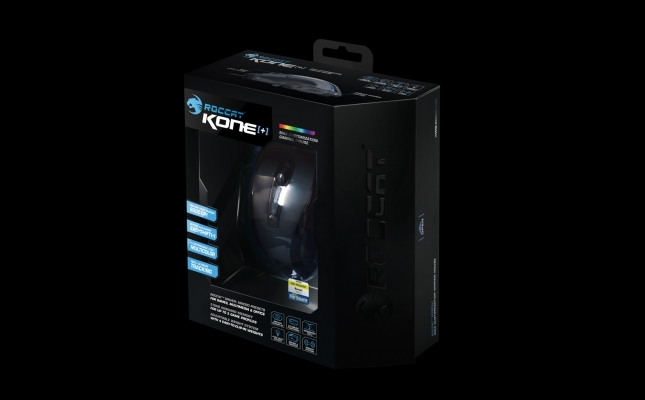 The bad, I am left handed and this gaming mouse has an ergonomic design, molded for you righties. Luckily I am not too far out of my element when it comes to ergo mice. Another issue I had was when trying to get the trap door to insert the weights, it was overly hard to open the first time. After numerous people “loosening” it for me, I was able to open and weight and get playing. Lastly, no macs allowed, well when it comes to the driver and macro manager that is, so you are able to use the mice on the macs but you will miss out in a great deal as to what it is capable of. 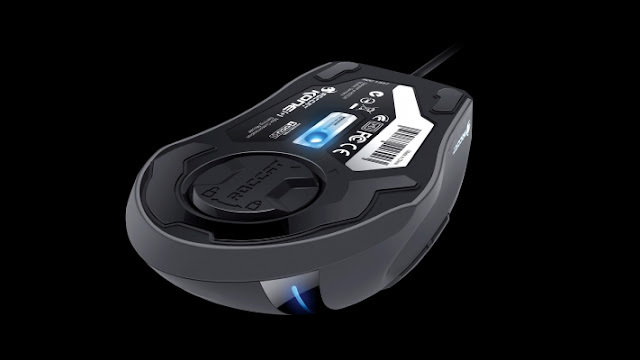 Granted, my previous mouse was not a gaming mouse but it was programmable and did a decent job to not take away from the gameplay, but after spending some time with some Portal 2 and the Diablo 3 beta, it did make gameplay more enjoyable and comfortable experience. Though the macro manager is not available on the quickly growing mac population, I can at least hope it wouldn’t be too much work to create or convert a driver for the operating system, until then I will be gaming from my wife’s laptop.